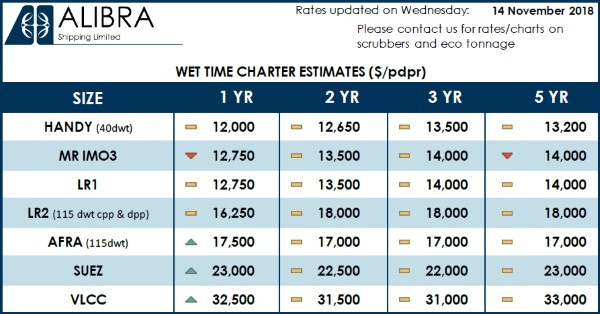 The VLCC period market has been steady this week, with the one-year time-charter rates currently estimated at $32,500/pdpr. Oil prices came under pressure this week as Saudi Arabia announced production cuts, in response to lower demand. Our short-term estimations for the tanker period market is that crude will remain healthy in to Q1 of next year.